Manchester United’s Stamford Bridge frustrations continued as Alvaro Morata’s second-half header sealed a 1-0 victory for Chelsea. The Blues’ frontman struck the killer blow on 55 minutes as he rose unmarked to head home following a solid period of pressure from the hosts. 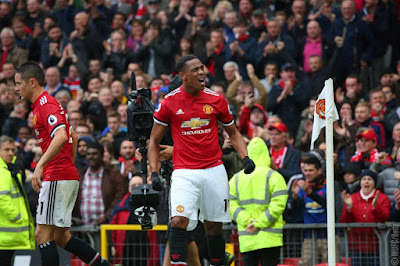 United had some promising moments in the first half, but the long run of no wins at the Bridge – which now stretches to five years – carried on for the Reds. 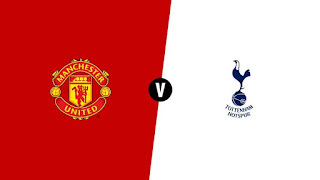 Jose Mourinho had stuck with the same team that defeated Tottenham Hotspur eight days earlier, while Chelsea made three changes to the side which had been comfortably beaten in Rome in midweek. Many had predicted a tense affair before kick-off, yet it was anything but as a frantic opening 20 minutes ensued. 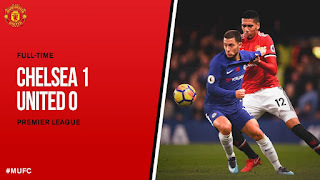 After David De Gea had gathered an early tester from the fit-again N’Golo Kante, the hosts had the ball in the back of the net, courtesy of Phil Jones’s boot, but the referee had already blown for a foul on the Reds’ defender by Morata as both tussled to reach Marcos Alonso’s left-wing cross. 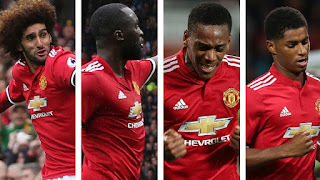 An unmarked Marcus Rashford couldn’t keep his header down as he rose to meet Ashley Young’s cross and after Tiemoue Bakayoko had missed an equally good chance at the other end, Romelu Lukaku saw his curling effort from the edge of the box beaten away by Thibaut Courtois. De Gea had to be alert for a bullet shot from Hazard, while Fabregas’s follow-up header found the side-netting. Chelsea kept the pressure on up to half-time, with Andreas Christensen heading a Fabregas corner over the bar. The second period began as the first had ended, with Chelsea edging proceedings and 10 minutes after the restart they were ahead. Hazard swept a volley into the grateful arms of De Gea, but a minute later the Spaniard could do nothing to stop his compatriot Morata swooping to head Cesar Azpilicueta’s cross into the top corner. 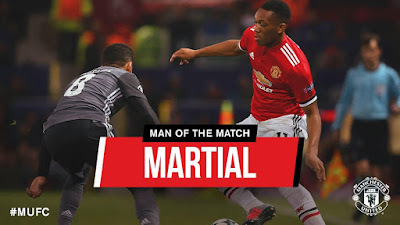 The returning Marouane Fellaini joined Anthony Martial in entering the fray when Mourinho made a double change just after the hour-mark, taking off Jones and Mkhitaryan, but Chelsea continued to hold firm at the back. In fact, the hosts almost doubled the advantage when Fellaini got caught in possession on 75 minutes by Bakayoko but the Chelsea man fired wide. And seconds later De Gea dived to his right to block a Hazard strike. 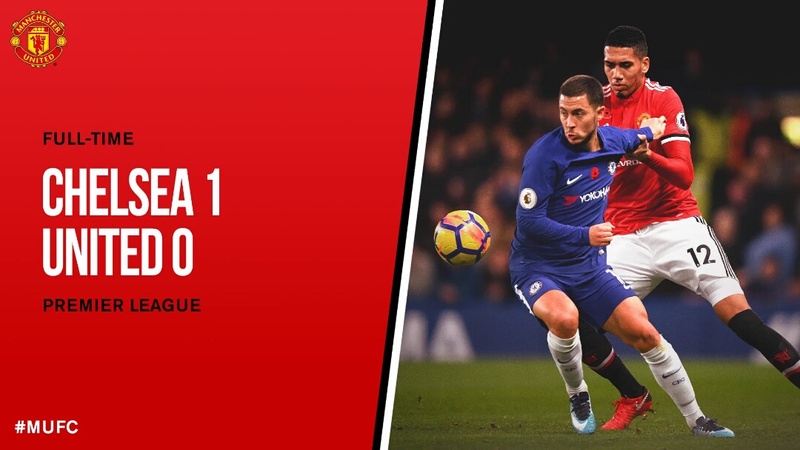 Rashford sent a half-volley whistling just wide four minutes from the end and Fellaini had an excellent effort tipped away by Courtois just after, but that proved to be United's last opportunity as the Reds' disappointing run of results in South West London continues. Chelsea: Courtois; Azpilicueta, Christensen, Cahill (c); Zappacosta (Rudiger, 66), Bakayoko, Kante, Fabregas (Drinkwater 78), Alonso; Hazard (Willian 87), Morata. Subs not used : Caballero, Arnpadu, Pedro, Batshuayi. United : De Gea, Bailly, Jones (Fellaini 63), Smalling, Valencia, Herrera, Matic, Young (Lingard 78), Mkhitaryan (Martial 63), Rashford, Lukaku. Subs: Romero, Blind, Darmian, McTominay. Marouane Fellaini made his first appearance for the Reds since the end of September following an injury picked up on international duty for Belgium. The midfielder replaced Phil Jones on 63 minutes and almost grabbed an equaliser for the Reds in the dying seconds. 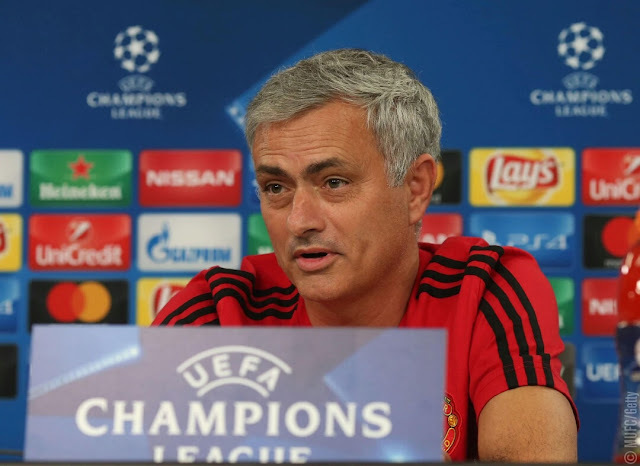 Mourinho praised Fellaini in his post-match press conference for the way he "put himself on the line ready to come in and help in case the team needed him", despite only taking part in a full training session on Saturday. There is now a fortnight’s rest before Mourinho's men return to Premier League action, due to another international break. 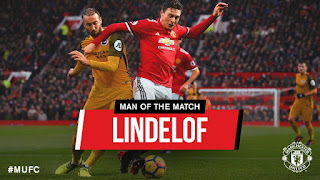 The lay-off from domestic matches is an important period for United defenders Matteo Darmian and Victor Lindelof who will face each other when Italy take on Sweden in the two-legged World Cup play-off next Friday and Monday. For the other Reds on duty for their countries, friendly matches will be on the agenda before United's next fixture, on Saturday 18 November at home to Newcastle.